Patrick Joseph McCusker was born on the 24 March 1894 in Glasgow, the youngest son of James, an egg merchant, and Annie McCusker, formerly of Dreenan, Dromore, Co. Tyrone, late of Neilston, Renfrewshire. Patrick was educated at Stonyhurst College in Clitheroe, Lancashire and attended the University of Glasgow to study Medicine until he got his commission. He first matriculated in 1912-13 at the age of 18, taking classes in Chemistry and Zoology, he matriculated two more times in 1913-14, taking Zoology, Practical Chemistry and Laboratory; and in 1914-15, taking Anatomy Practical. McCusker joined the 10th Royal Dublin Fusiliers, which was mobilised for war on 19 August 1916. Earlier, on 1 August 1916, he was promoted from Second Lieutenant to Lieutenant, as reported by the London Gazette from 15 September that year. Lieutenant McCusker’s battalion joined with the 190th Brigade of the 63rd Division after landing at Havre, and engaged in various activities on the Western front, including the Battle of Ancre (13-18 November 1916). He was reported to have been killed in action on 17 November 1916 aged 22, having previously been noted as wounded and missing on 13 November (The British Medical Journal, December 1916). The Stonyhurst College War Record 1914-1918 records that Lieutenant McCusker was "killed in action in France, November 13th, 1916, at the Capture of Beaumont Hamel, during the Battle of the Ancre 1916, twelfth of the Battles of the Somme, 1916". He was buried in Knightsbridge Cemetery, Mesnil-Martinsart, France. His death was recorded by the Catholic News Weekly, The Tablet on 9 December 1916, with his company commander stating: ‘We were great friends. I feel his loss immensely, as do all officers in the company. He died in the grace of God’. Lieutenant McCusker has also been remembered at the family grave site in St Kentigern’s Roman Catholic Cemetry, Glasgow. 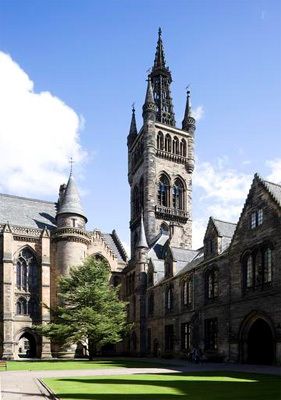 He is listed on the University's http://www.universitystory.gla.ac.uk/ww1-biography/?id=4543WWI Roll of Honour. Photograph: Courtesy of Stonyhurst College, Clitheroe, Lancashire, forwarded by Ian Strickland of the Neilston War Memorial Association. Biography: Information contributed by Matthew Drennan and Ian Strickland of the Neilston War Memorial Association.